Here are all the games I have played in January, and my thoughts on them. I have been really impressed by this card game from FFG. I played in a ‘Sealed Deck’ tournament at Boards and Swords Hobbies at the end of last month – probably something I would not have considered doing with any other card game. However, since this game’s USP is that each deck is unique and complete, there is no pay-to-win aspect that you might find with any other CCG. Good gameplay coupled with a strategy of learning your deck synergy means that it’s a game that maintains your interest. I’ve been really impressed with it. These games are dungeon hack-and-slash, with combat mechanics based on the D&D RPG. They are decent enough games in and of themselves, but have an added bonus of providing miniatures and dungeon floor tiles that can be used in other games. Whilst Ravenloft is fairly straight forward in approach, with each scenario essentially being stand-alone, TOEE is designed to be a campaign game. When it comes to encounters, TOEE seems to be much more brutal and uncompromising and is a big step up in difficulty. This card game is one I play regularly with my wife and parents when we visit. It comes into it’s own when played as a pairs game, rather than individually. The no.1 party game on boardgamegeek.com, this is a game of word association, with one player from each team giving single word clues to their team mates in order to find related words on a grid. It’s very clever and quite addictive. As you might expect, the spy theme is very much ‘bolted on’ and has very little relevance to the final game – not that it matters that much tbh. It’s a huge amount of fun and highly recommended. 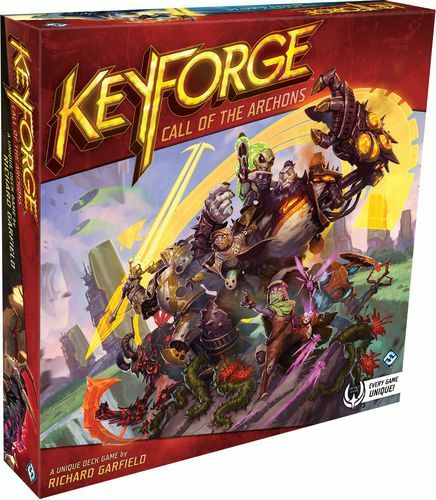 A multiplayer card-driven game which is reminiscent of playing Fighting Fantasy books. All the players are attempting to escape, and have to face fifteen different challenges, presented on large cards. These could be fights with monsters, a room full of traps, or maybe the opportunity to steal some goods or talk to a character. Players gain items to help them on their quest, but what you can carry is limited. Ultimately you have to defeat the lord of the castle (end of level boss) in order to win the game. At any time, if one of your party is killed, everyone is defeated. An adventure game with a difference. Great artwork, lovely large custom dice combined with loads of options for replayability due to a large number of encounter cards and final bosses. It has been great to finally play a miniatures game that feels like ‘proper’ American Football. That said, it seems that the rules may well need a couple of ‘tweaks’ to amend a couple of links we found when we played through the game. Though the basic game is 7-a-side, I currently think that the sweet spot is with nine players a side, as this gives options for several different offensive and defensive formations. I am hoping that once we have nailed down all of the customisations we are making to the rules the game will play more quickly. The campaign continues – it has actually been refreshing that we recently failed a scenario after a string of victories which seemed to make the game appear straightforward, even easy. It’s good to see that the game is more of a challenge than it has appeared as of late. We are still having a lot of fun with this – I think we are about half way through the campaign. I am not convinced that this warrants the No. 1 ranking that it has on BGG, but it is a good game none the less. This has been one of our ‘go to’ filler games ever since we discovered it at the UK Games Expo last year. A simple dice-rolling resource management game, this game is fun and quick, with the average game taking around 20 minutes. We have been looking for a miniature game to play using Dave Luff’s collection of painted Crusader gladiators. Whilst it has been several years since we played this game, our recollection was that game gave the best representation of gladiatorial combat. The campaign system is a little rudimentary when compared to something like Jugula, but it is perfectly serviceable. Though there is much to like about this asymmetric card game, I am still undecided as to how well balanced the game is. In our experience, the games have mainly been lop-sided affairs with one side of the other dominating the battlefield from about half way through the game and preventing the other side from building up any coherent force. Maybe we simply haven’t played enough to work out all the strategies, but despite liking the game the one-sided experiences means that it becomes difficult to return to. This is a stand-alone scenario for the Arkham Horror LCG. The game is usually quite difficult, but on first play we found this scenario to be especially brutal – no other word for it really. It’s an interesting g premise, and the scene moves from the USA to Venice. I am not sure if these scenarios have a difficulty rating, but if they did then I would expect this one to be near the top. It’s been almost a year since we last got this two player game to the table, and playing it again has served to remind us of what a good game it is. We have only played the first of the three scenarios, but after two or three plays I think that we both know the game sufficiently to give each other a very close game. I still think the ultimate challenge would be to play all three scenarios back-to-back, thus playing out the entirety of the Battle of Britain, but 12 turns is going to take all day to play. This is an area control/resource management game where you roll side in order to determine your available actions on each turn. We played a single learning game of this with just two players, but it already shows promise as a very interesting game. It will probably work better with three or four players, rather than just two. One of the latest in the series of ‘Tiny Epic’ games, this one takes place in the classic zombie-invested shopping mall, Players have to complete a number of scenarios before they are overrun by the zombie horde. Not the best in the series, but a decent amount of fun. Codenames is one of my all time favorites!!! And SO much replay value!! !